Federal courts are supremely pro-business, including the nation’s highest one throughout its history. The nation’s first Supreme Court chief justice John Jay arrogantly said America should be run by the people who own it. The nation’s second president John Adams said the rich, well born and able should rule. The Supreme Court’s 1886 ruling in Santa Clara County v. Southern Pacific Railway was arguably the most infamous one high court history – granting corporations legal personhood. Henceforth, corporate predators have had the same rights as people, not the responsibilities. Limited liability exempts them. The words “Equal Justice Under Law” adorning the Supreme Court’s west facade, along with its “Justice, the Guardian of Liberty” motto facing east reflect a travesty of what judicial fairness is supposed to be all about. Since the High Court’s 1789 establishment, it’s been supremely deferential to wealth, power and privilege. “We the people” means powerful interests exclusively. Ordinary folks don’t matter, less today than ever in the modern era. Federal district and appeals courts are ideologically similar to the Supremes. Privilege always counted most in America. Egalitarian principles exist in name only. Checks and balances, equity and justice, as well as democratic values are meaningless figures of speech. America is run by men and to a much lesser degree by ideologically likeminded women – not laws or high moral standards. Democracy is pure fantasy. Most High Court and other federal judges are as unprincipled and deferential to powerful interests exclusively as political officials in Washington, states and local governments. On Tuesday, US District Court Judge Richard Leon approved the monstrous At&T/Time Warner merger without imposing conditions. “We will closely review the Court’s opinion and consider next steps in light of our commitment to preserving competition for the benefit of American consumers” the Trump regime doesn’t give a hoot about. The 1996 Telecommunications Act, deregulating communication industries, paved the way for greater consolidation, less competition, less concern about diversity and choice, as well as higher profits at the expense of consumer-friendly policies. Nearly everything touted about the measure was false – more proof that politicians lie. Nothing they say should be believed. Consumers got higher, not lower prices. Industries supporting the legislation claimed it would create 1.5 million new jobs. By 2003, half a million were lost through consolidation. Approving it represents a colossal press freedom affront, exacerbated by gutting Net Neutrality if the FCC’s ruling stands. It assures another wave of telecom and media consolidation, a boon for corporate control and profit-making, a dagger in the heart of press freedom – digital democracy threatened. 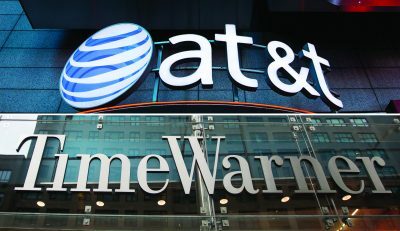 FreePress.net said: “Forget Ma Bell.” The AT&T/Time Warner merger is “Monster Bell” – nearly three times the size of the huge 2011 Comcast/NBC Universal deal. The AT&T/Time Warner merger is valued at over $107 billion, including $22 billion in debt AT&T will assume, increasing its debt burden to over $350 billion, perhaps making it too-big-to-fail like banking and other corporate giants. Following the deal’s approval, FreePress.net’s Matt Wood explained it’s hugely anti-consumer and anti-press freedom.